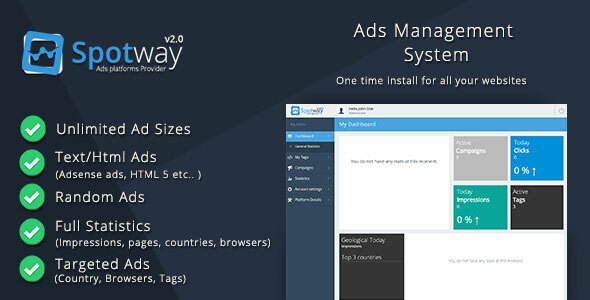 SpotWay Ads Management is designed for webmasters or website holders that need to simply manage html or banner ads on their websites. Also, they can generate daily statistics that can be sent to potiential customers. It is a great solution for small and medium websites.